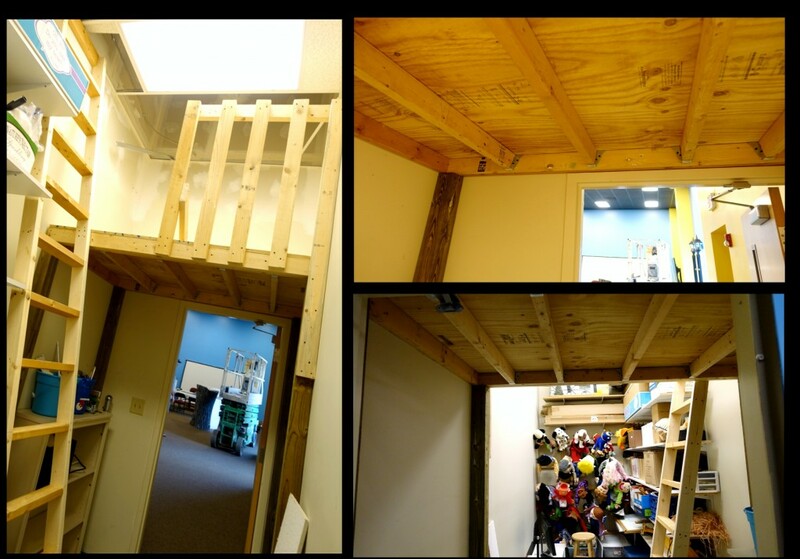 Another Fun Project Completed! 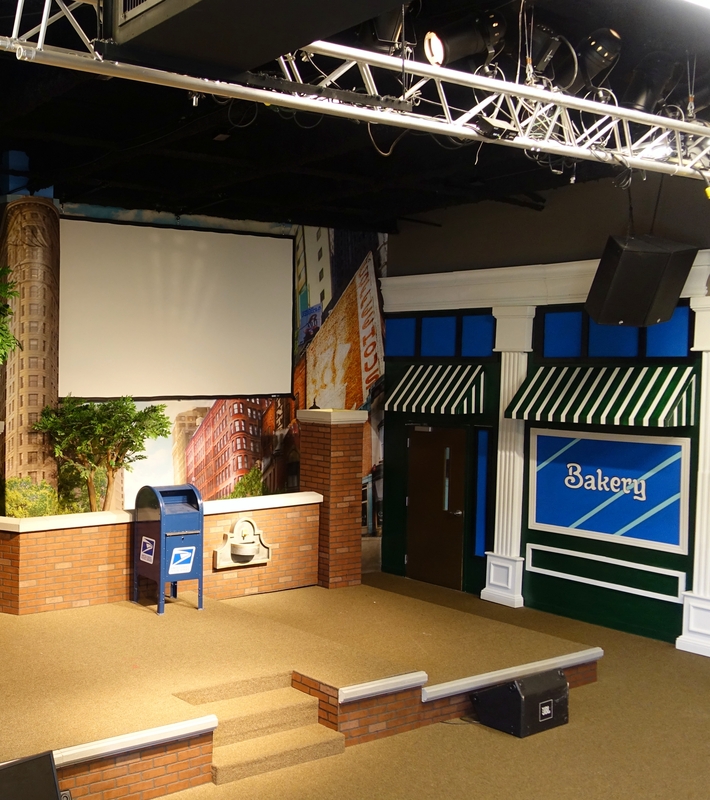 This one, A City Park Theme, for Pleasant Garden Baptist Church in Pleasant Garden, NC. 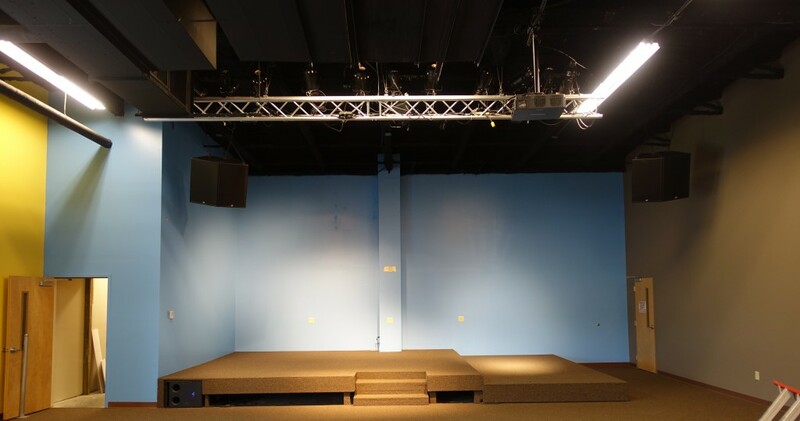 This set is 33ft wide and 18 feet tall. 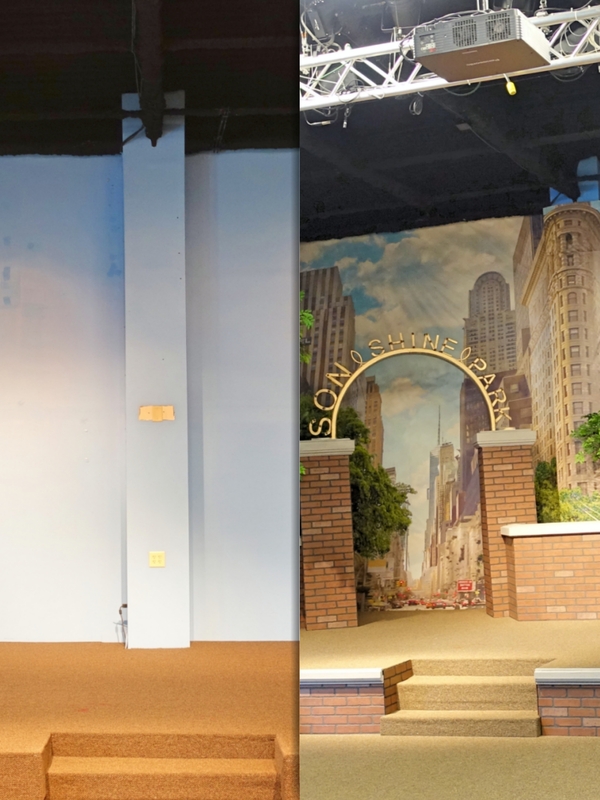 It included a custom photoshopped city style backdrop with a 3-dimensional building coming out of the middle of the set to disguise a structural column. 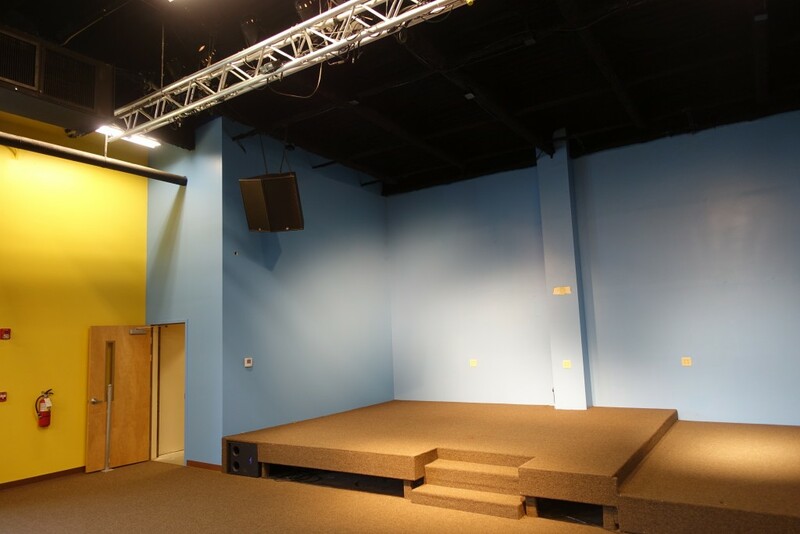 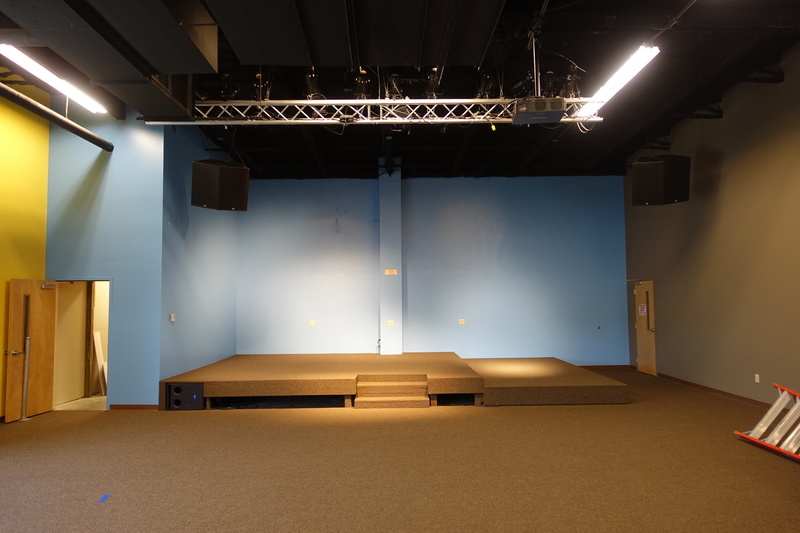 Located on the far left of the stage is a large closet in which the church’s puppets and additional props were housed. 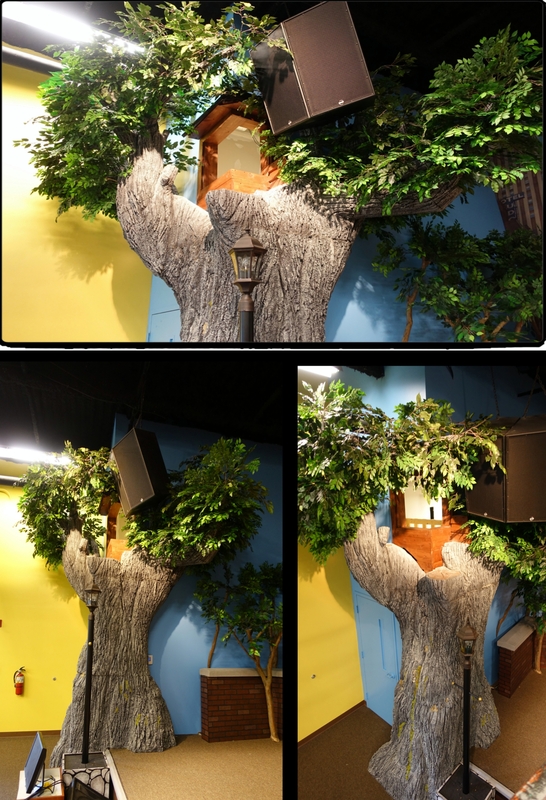 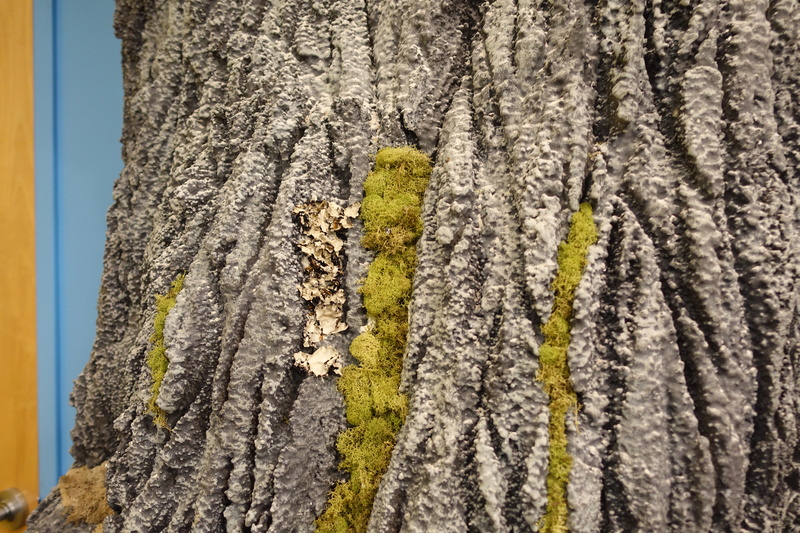 On the exterior corner of this closet we fabricated a 16ft tall tree with a built in tree house which would be used as an aerial puppet stage. 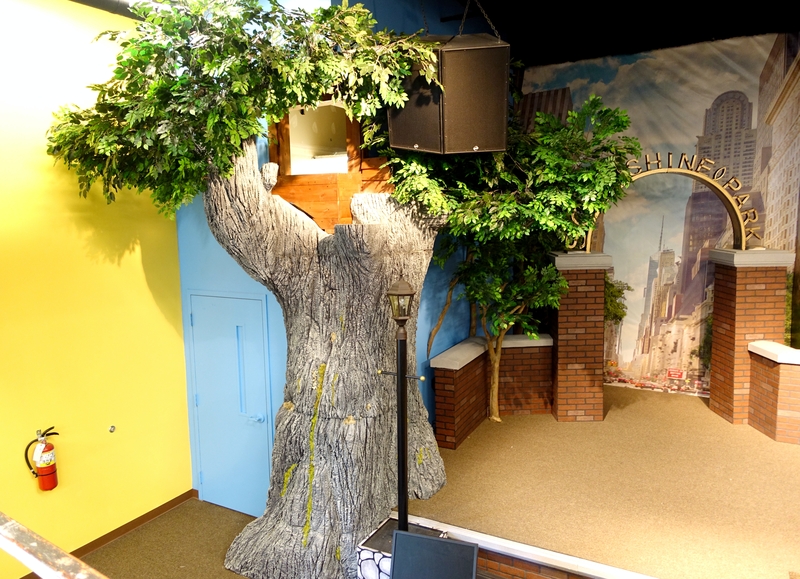 This aerial puppet stage is accessed via a 12ft platform on the interior of the closet. 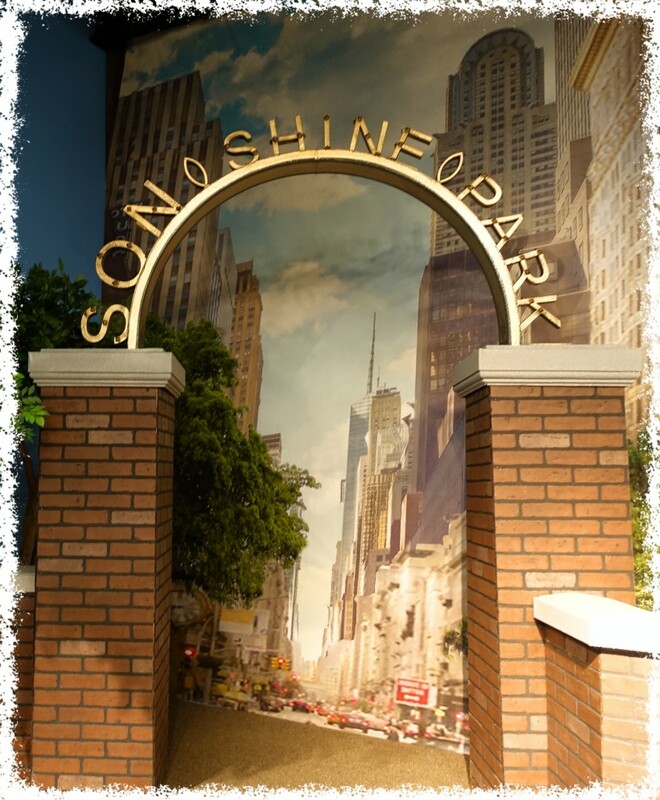 To the right of the tree, we fabricated a brick wall and pillars, as well as a 6ft wide faux metal arch that reads the park name. 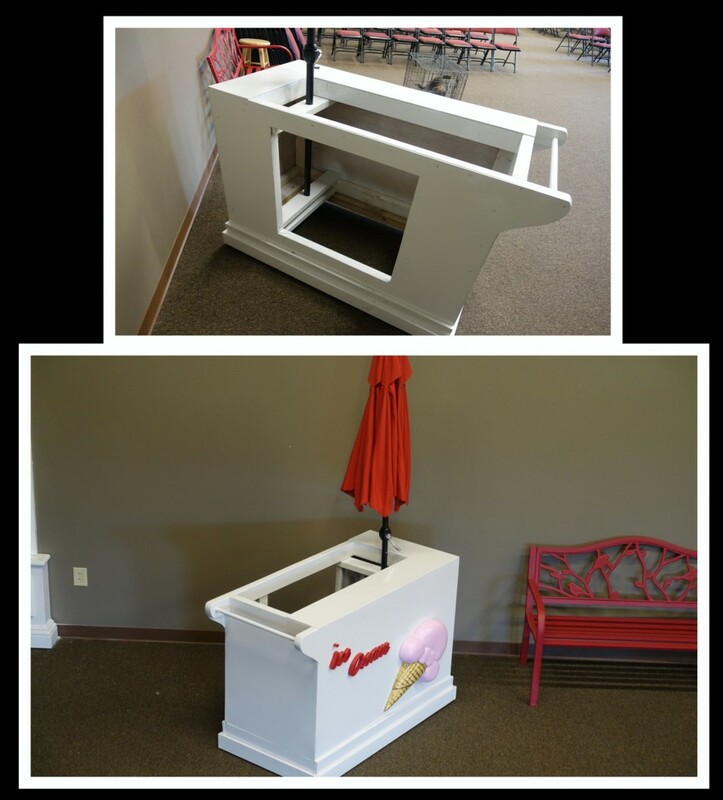 Last but not least, we disguised Pleasant Garden Baptist’s old news stand into a brand new ice cream stand complete with a new paint job and 3-dimensional letters and ice cream cone. Overall, this project was certainly a lot of fun! 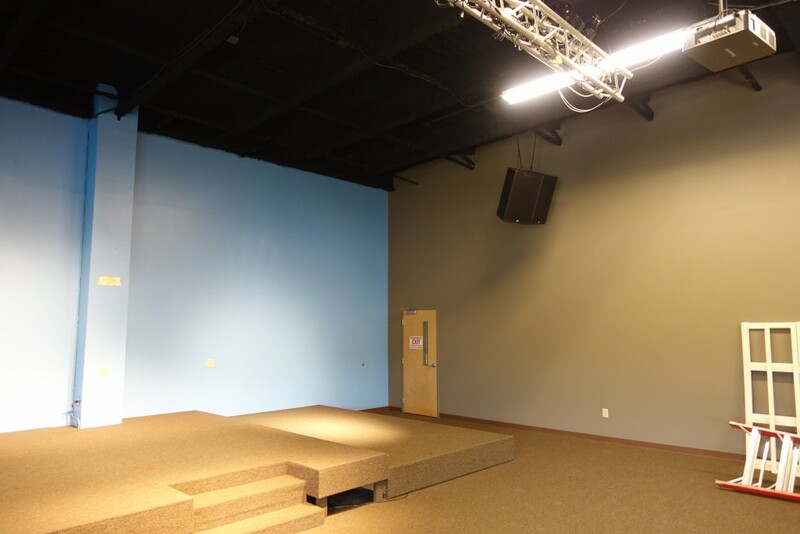 We want to thank Jeff Doss, Pleasant Garden Baptist’s Children’s Pastor, as well as the Church its self for amazing hospitality, quick correspondence, and an overall great experience! 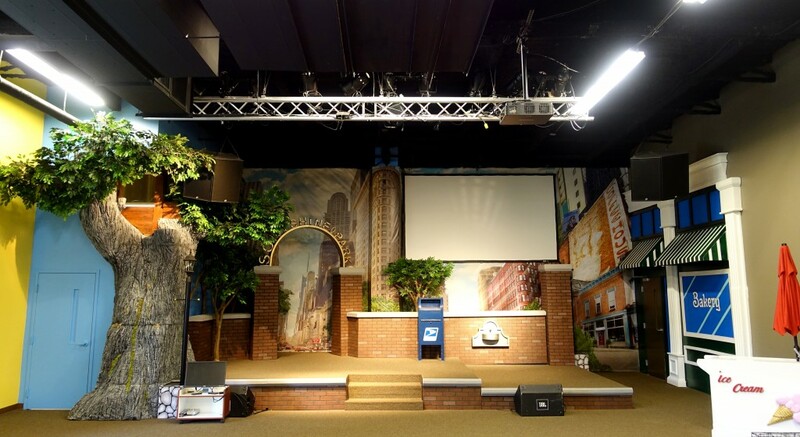 If you have a Set or Themed Environment that you would like us to help with, please shoot us a quick email, and we can make your vision a reality!